Henry Crowe was highly decorated and especially well thought of during the course of his career; reading Bob Crossey's account of his fascinating life, it is clear to see why. Buy An Eye in the Sky by Bob Cossey from Australia's Online Independent Bookstore, Boomerang Books. 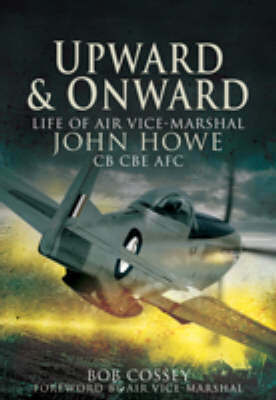 Bob Cossey has been Secretary of the 74(F) Tiger Squadron Association since 1992 and it is this squadron which has been the inspiration for the books he has published previously - Tigers (Arms and Armour Press), A Tiger's Tale (J&KH) and Upward and Onward (Pen and Sword). His latest project, An Eye in The Sky, also has a connection as Hal Crowe was OC 74 in Malta before the war. Living near Norwich, Bob also writes guides for two local aviation museums; the City of Norwich at Horsham St Faith and the Norfolk and Suffolk at Flixton. Away from aviation, Bob is a trustee and secretary of Stepping Stones, a Norwich based charity for adults with learning disabilities.